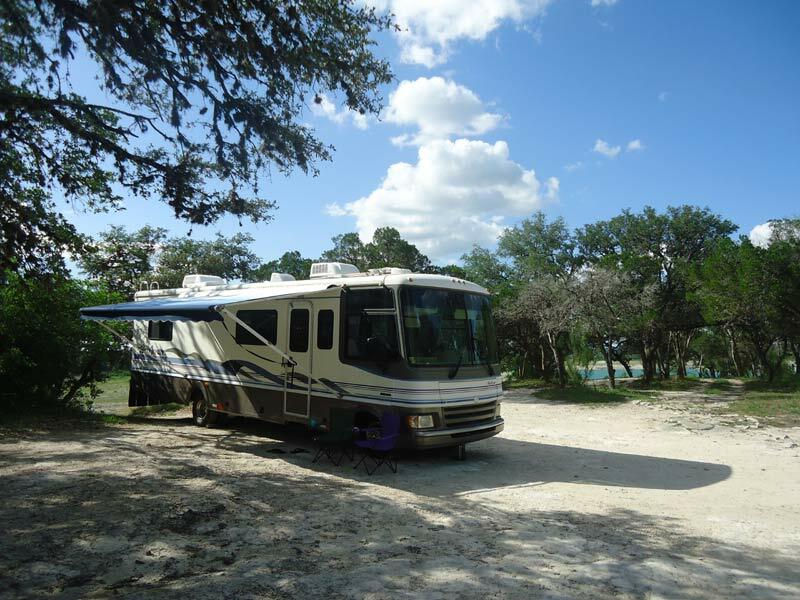 So far on our Texan adventure, we have enjoyed various RV hangouts, which have for the most part been free. 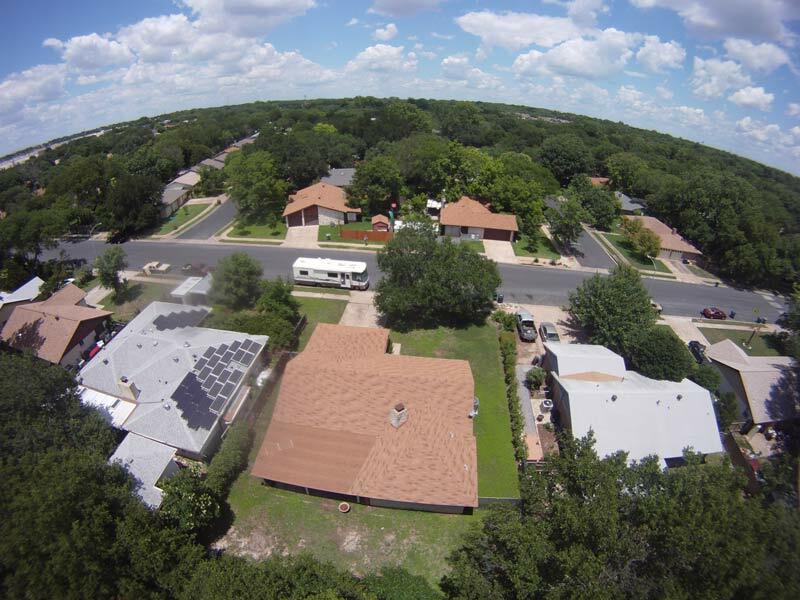 These have included numerous Walmart car parks, outside the Hostel on Riverside, Pecan Grove RV Park in the centre of Austin and in front of Michelle’s house in North Austin. As we ventured a little further afield, we discovered the Texas State Parks and decided to pay the $70 annual subscription which allows us free entry at any of the 90+ parks and attractions across Texas. We no longer have to pay an entry fee (average $4-6 per person, per day), and now only pay around $20 for a full hook-up. This means we get mains water, electricity (air-conditioning), and somewhere to dump our “grey” and “black” water tanks. 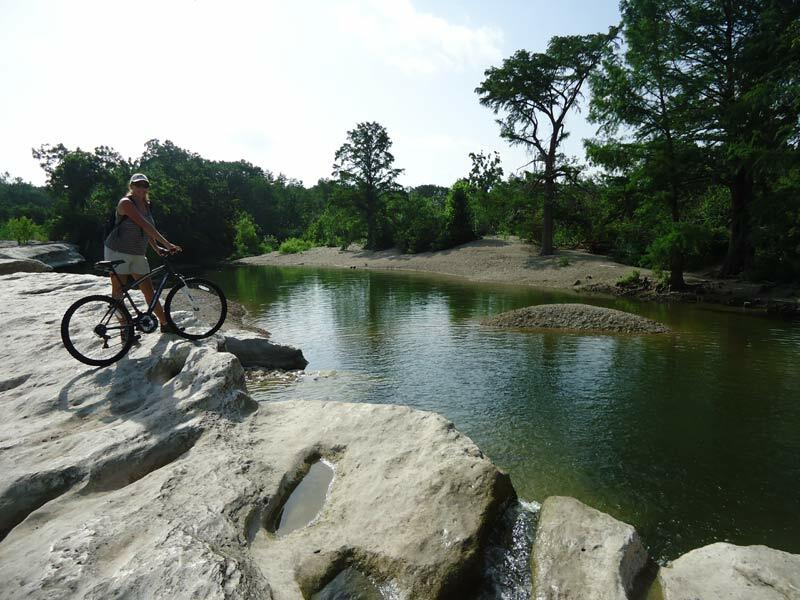 There is the added advantage of a beautiful park with rivers, creeks or swimming pools to cool off in the hot, Texan sun. 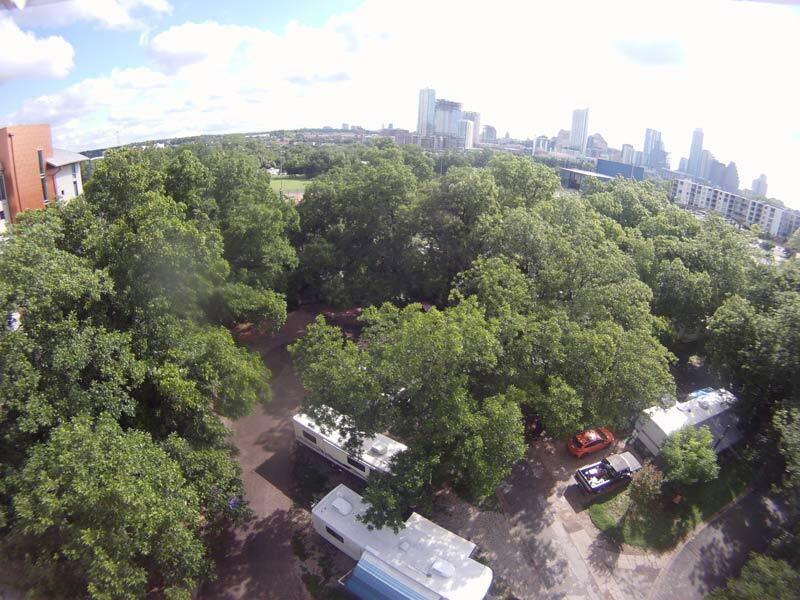 The State Parks often have far superior RV parking spots compared to privately owned RV parks. Primarily because they have space, and plenty of it! 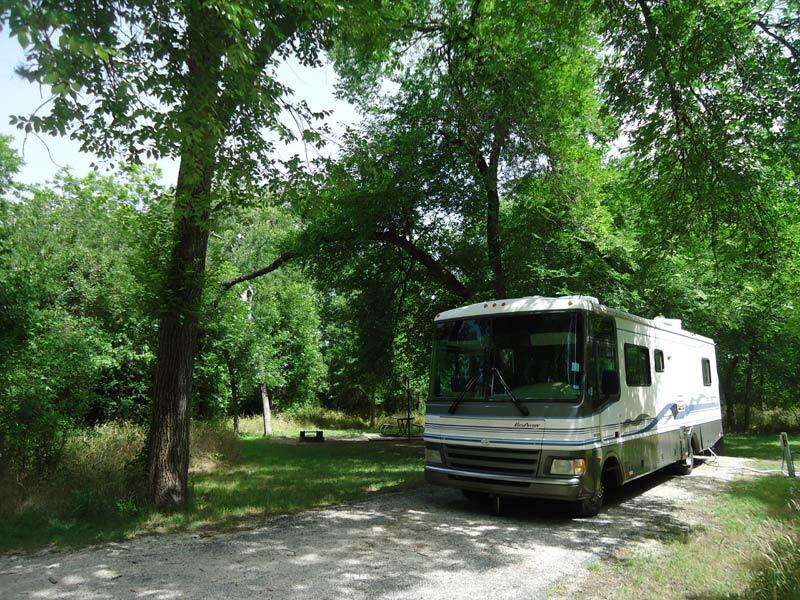 We have stayed in parks where we could park the RV and comfortably house up to eight people in tents. Together with picnic tables, fire pits, BBQ’s and shade, these parks have become our “home” of choice and we have mapped out our route west to stay at as many of the parks as possible on our way to New Mexico. McKinney Falls, just a few miles south of Austin, was our first choice. A quiet, natural retreat on the bank of Onion Creek, we quickly made our way to the waterfalls to cool our bodies, which were struggling to acclimatise to the near 100 degree temperatures. The water was not clear, there were too many people stirring up the sediment, but it was deep enough to swim and have fun in the spray of the falls. We shared the water with turtles and fish, and we have become ardent “turtle whisperers” as we stalk them in the rivers, trying to get as close as possible without scaring them. They do nip occasionally, so we stay away from the big ones! 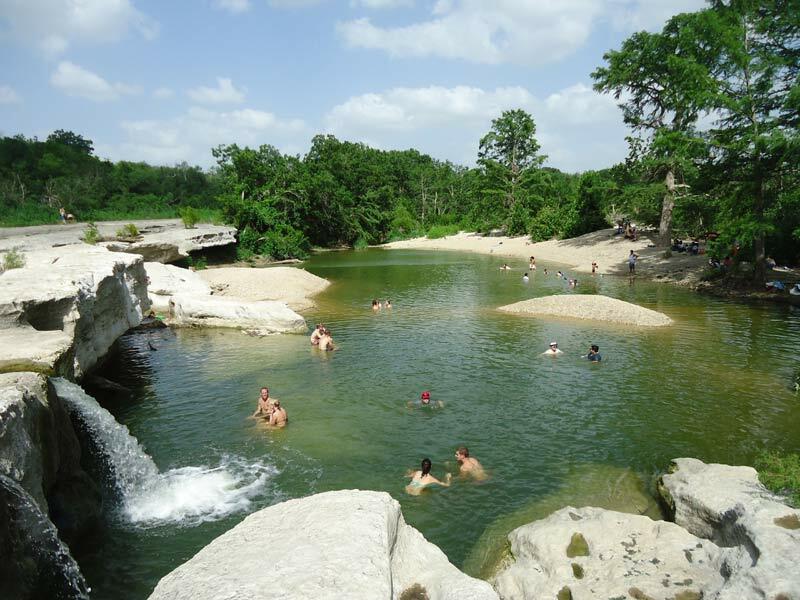 There are two falls at McKinney, the upper and lower, where Onion Creek laps gently over the smooth white rocks that allow for a spot of bouldering. We preferred the upper falls as the water was consistently deep, allowing for better swimming and floating in our Walmart inflatable chairs! On the second day we walked upstream to the primitive camping area with our floats and managed to make our way down the creek to both of the falls. We only had to walk a few shallow areas, and it made for an extremely relaxing morning. To speed things up a bit, we developed the art of “float running” – we lay forward on our floats and “ran” along the river bed! Between the two falls we exited the river to clamber up to the Indian Rock Shelter. During storms in October 2013, the river had risen over 40 feet causing extensive damage to the small canyon edge and other areas of the park, which meant the shelter was inaccessible via the trails. It could still be reached (unofficially) from the river and we made it without too much problem. Here we found a large nest of “daddy long leg” spiders. They bounce on each other, hanging from the roof and creating “living ladders” if disturbed. We wouldn’t have known they were there, had Dillon not previously shown us how to identify them when we stayed with him and mum Tracey, a few weeks earlier. There were a couple of 3 mile hiking and biking trails to explore. Unfortunately, Ian had a flat tyre which we were unable to fix, so we walked the trails. However, we did use Ian’s ingenious bike and walk relay to get us to the start of the trail more quickly! We made full use of the parks facilities and soon our two days were over and we were on to our next stop in Lockhart. Lockhart town has the official designation as the “BBQ Capital of Texas” and is also the site of the Chisholm Trail Roundup, an annual event celebrating the cattle drives of the 1870s. Lockhart is a town full of Texan character and history. This has made it a popular location for over 75 movies and commercials, including Transformers IV, and two great “true life” films we have just watched – Temple Grandin and Bernie. We found the local Walmart where we planned to spend one free evening, and had hoped to eat at Smittys BBQ. Sadly when we cycled down, we found it was only open during the daytime. So we stopped at our second choice and feasted on a large plate of meat and salad. There really is nothing like Texas brisket and BBQ ribs! We are not alone in our thinking. There are five BBQ restaurants in Lockhart and the estimates suggest that 23,500 people visit each week. That’s 1,222,000 people a year who eat BBQ in Lockhart alone! Lockhart State Park is one of only a few that offers a golf course. We were fast approaching Independence Day – July 4th – and RV spots were filling up quickly, but they managed to squeeze us in for a couple of nights. There wasn’t a lot to see, but we managed to cycle a few short trails (prepare for a few steep hills) and spent a further day relaxing by the swimming pool. We were enjoying our early morning cycle rides, which have become a regular part of our exercise routine.